How to create Group/variation Products in bulk? You can easily list group products on the marketplace of your choice in bulk. Here, Group Products refer to multiple variations of the same product. For e.g. a group of same T-Shirt in different colors or sizes. 2. Go to IMPORT tab and click on click here to import button for Bulk Product Upload. 3. Select marketplace where you want to bulk upload products. 4. 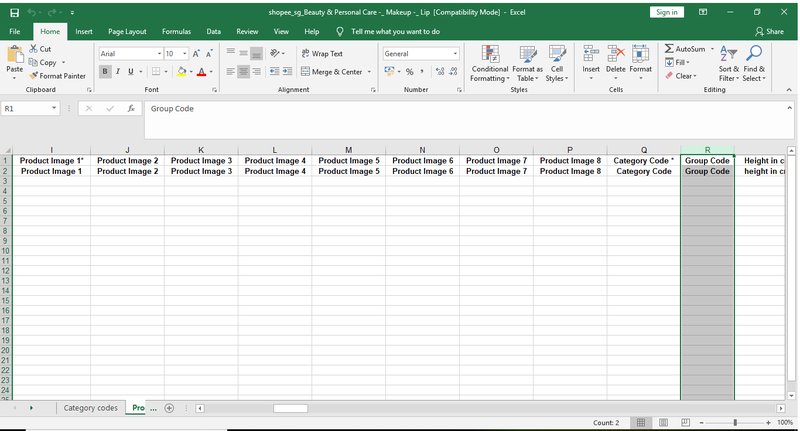 Select category and download the sample XLS file. 5. In excel file add all the variations with details and mention same code under "Group Code"
6. Once you enter all the Mandatory details in downloaded file then upload it to SelluSeller. 7. Your products will go to ready list state after bulk uploading and you need to bulk list them in one go. 8. Select All Ready to go option and click Bulk List button to bulk list them in one go. 9. If you want to list specific products click on select ready to go option, select Marketplace and click on next. 10. Select products and bulk list option will pop up, click on bulk list to list selected products in bulk. Hope that answers your question! Try it out here!